Finland is one of the scandinavian, nothern countries with beautiful landscapes in summer and specially in winter when covered by snow and exciting polar lights appear in the skies. It is the kingdom of the elks! It has a rich musical culture. There is not only the Leningrad Cowboys, but there is a damn hot blues-scene. Yeah, damn right – The Blues. 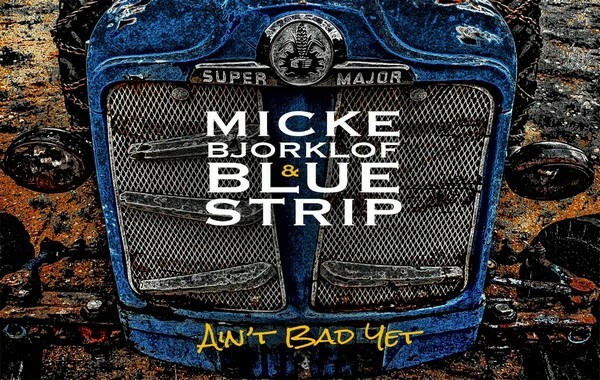 One of the leading bands by this style is Micke Bjorklof & Blue Strip. Their music is hot-blooded and not northern coolish at all. If you do not know from which country they origin and you listen to their sounds without any information you would immediately tipp the South Of The U.S.A! 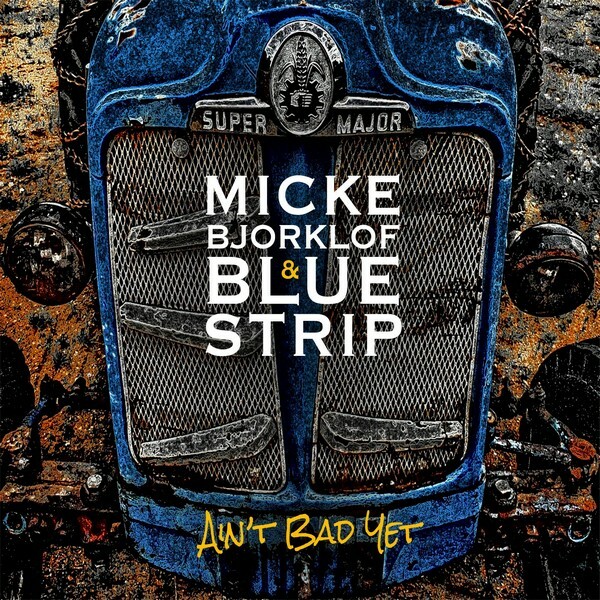 So get in heat and in the mood for Micke Bjorklof & Blue Strip and their adventure „Ain’t Bad Yet“! „Ain’t Bad Yet“ starts by „Last Train To Memphis“ and a hot slide-intro by gunslinger Lefty Leppänen. When Micke starts his singing you immediately get hooked by his Dixieland canto. Magnificient start! The sound is a phenomenal blast. Iconic, Grammy awarded producer John Porter did hell of a job… „Troublemaker“ as second song is to captivate by the harmony vocals and it makes you dream of warm summer temperstures and a travel from Tennessee, Louisiana to Mississippi – the states of the legends of the blues. „Rain In Jerusalem“ has a hot funky groove. It is a rhythm jewel and on top spicy by the National-Steel-Guitar solos. Micke is not only a dynamite singer, but also a great harmonica player. He is proving that by „Get Ya In Da Mood“. 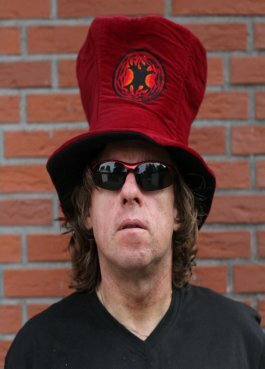 „Hold Your Fire“ keeps the flame burning and is a finest blues-rock to enjoy some Jack Daniels. „It Ain’t Bad Yet“ can be entitled a new „Hymn of The South“. What a beautiful laid-back southern ballad. The title climax-song! 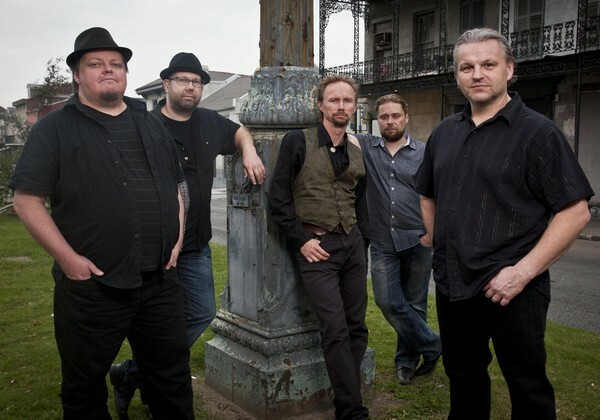 By „Rat Chase“ by sounds mister Bjorklof and bandmates take a sound-journey to South-America with some latino rhythms. Devilish and fervid! „Today“ is the ideal title to start the day the positive way by the theme „Live & Enjoy Every Minute Of Your Life“. „Blame It On The Bright Lights“ is a finest rollin‘ & tumblin‘ track. By the diamond-jewel „In Chains“ MB conducts „Ain’t Bad“ Yet with a gospel-spiritual attitude. This song will leave you happily, but also meditative. Pls. click on the photo above to watch the album-trailer!